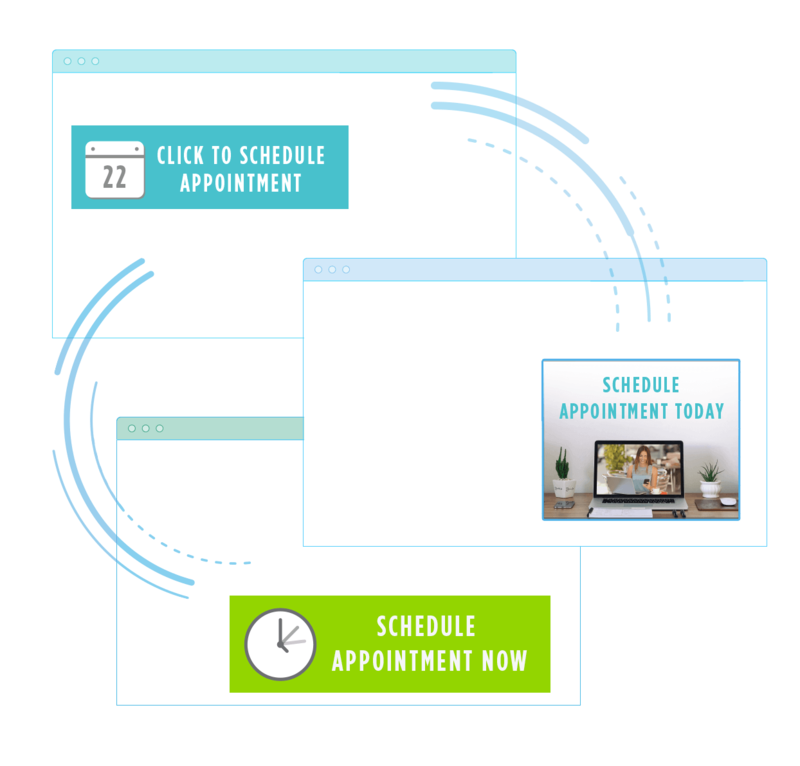 Patient online appointment scheduling doesn't get any easier. 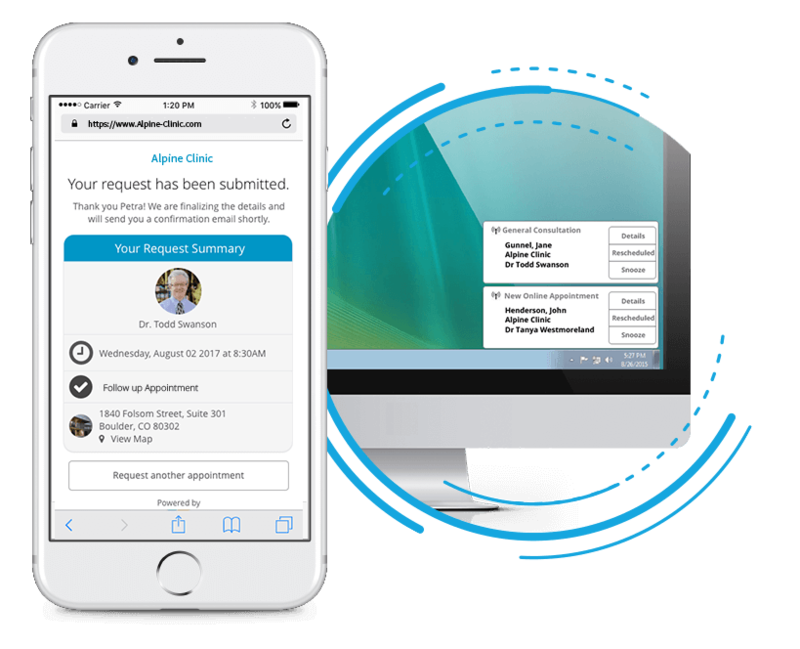 Now patients can book their own appointments from any device, whenever they feel like it. It's easy, customizable, and flexible online patient scheduling. Exactly what you and your patients want. It takes an average of eight minutes to schedule an appointment on the phone. Eight minutes! That’s nuts. It just isn’t practical for patients. SR Schedule provides 24/7 online scheduling that integrates with your schedule and can be completely customized. A link to SR Schedule can be placed on the website, your Google profile, social media pages, and in emails and text messages. That’s right—put it anywhere, and make scheduling better for patients and staff. What is SR Schedule and how does it work? SR Schedule is an online scheduling tool that integrates with your practice's PM. It provides a link that practices can place on their website, Google profile, Facebook page, newsletters, recare messages, and many other spots. The number of links you can use is unlimited. Through either web or mobile, patients can select specific appointment types, providers, location, time, and dates. Allows patients to upload their insurance card online. When it comes to your practice, scheduling patients can be incredibly time consuming. And that goes for their end of it, too. It doesn’t have to be this hard — SR Schedule makes life easy for patients and practices everywhere. With SR Schedule, the practice has complete control. Providers can customize which appointment types are bookable and how long each appointment type should be. You can add custom descriptions for each appointment type, provider, and location. You can even choose what information is required to book. Patients will book the right appointment, for the right length of time, so you don't waste time for your patients or your practice. SR Schedule not only gives patients the access they want, it also relieves the burdens of your staff. Now, instead of spending hours of your time on the phone or collecting insurance cards, you can be interacting with patients in the office. It's a win-win. Want to learn more about patient scheduling? Read our blog post. With 85 percent or more of a typical healthcare practice’s expenses fixed, ensuring your provider’s schedule stays full is critical to success. 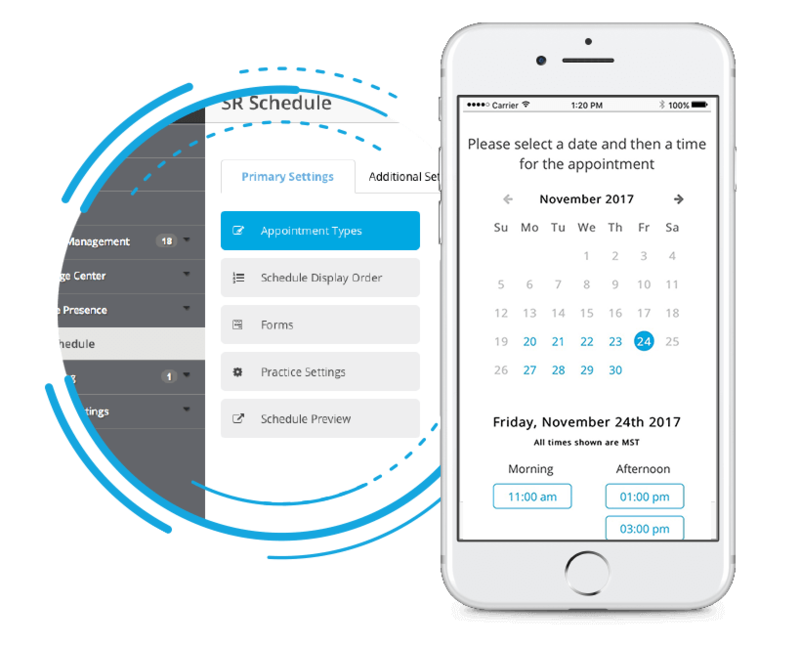 Learn how to schedule your patient's appointments effectively and how keep your practice schedule full and help patients schedule their own appointments. Give your patients the power! Use SR Schedule to help your patients self-schedule their own appointments. Schedule your demo now.